This was SJGR's first visit to the Old Town Hall. We were asked to investigate several establishments in the Mullica Hill area to participate in an annual fund raising event for the local historical society. Three out of four investigators reported the impression of at least 1 male spirit on the 2nd floor, that had a condition, or “illness” of some sort. Two investigators reported the impression specifically, that the male spirit suffered a possible heart attack, and also described him as tall and thin, with brown hair. Three investigators also reported at least “2” spirits present. The physical evidence collected consisted of 10 EVPs, some of which appear to interact with investigators and their questions, and 23 positive photos with anomalies in them. About 8% of the positive photos/video clips obtained falls slightly above normal, and some photos correspond to events investigators were experiencing at the time the photo was taken. There was one anomalous EMF reading, and two motion sensor or temperature readings obtained during the investigation. 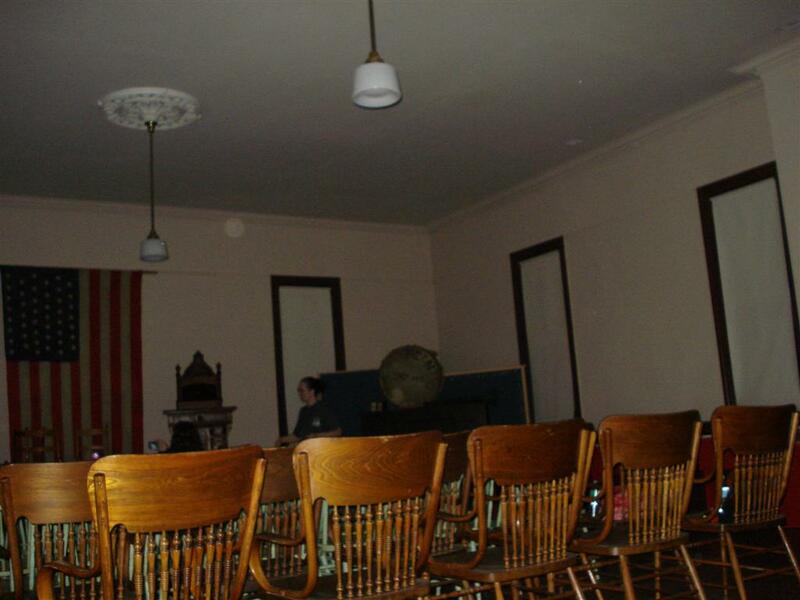 9:14pm - Investigator Carroll took this photo in the 2nd floor Meeting Hall after the Trifield Natural EMF meter near the podium detects an anomalous fluctuation in the electromagnetic field two separate times. 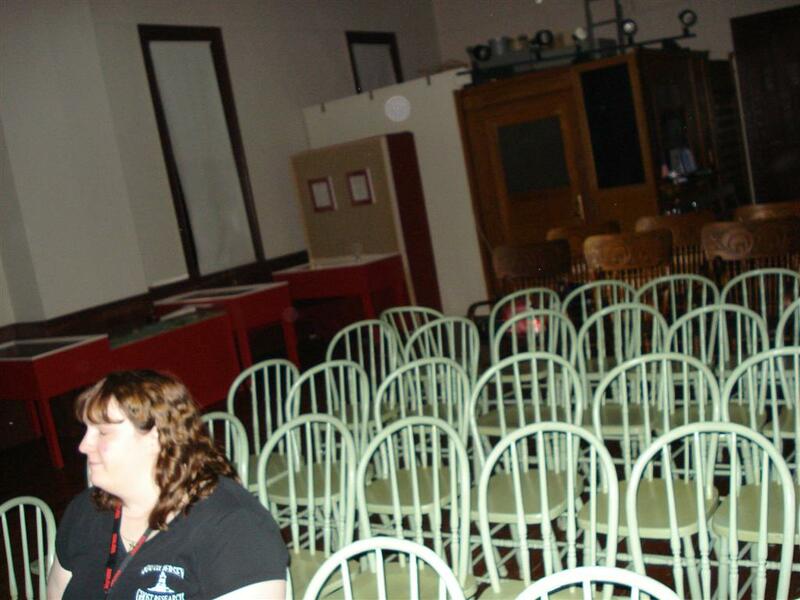 9:37pm – Investigator Bown took this photo after seeing a low, white shadow move behind the last row of chairs in the Meeting Room. 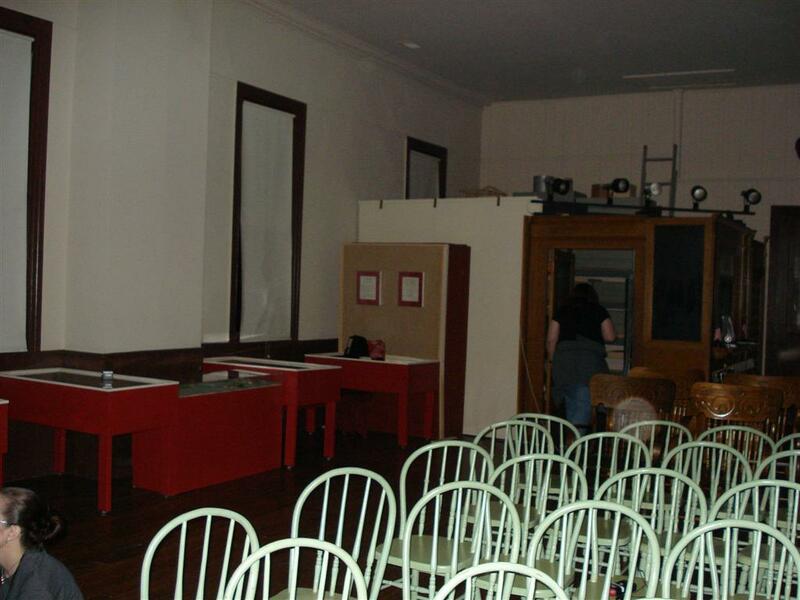 11:46pm – Investigator Bown took this photo in the Meeting Room during an attempt to obtain an EVP and after hearing a disembodied voice.